Flo is VP Marketing at CARTO, leading our Demand Generation, Content, Product Marketing and SDR teams to translate the value of Location Intelligence to existing and prospective clients, generating demand for spatial analysis use cases on our platform. 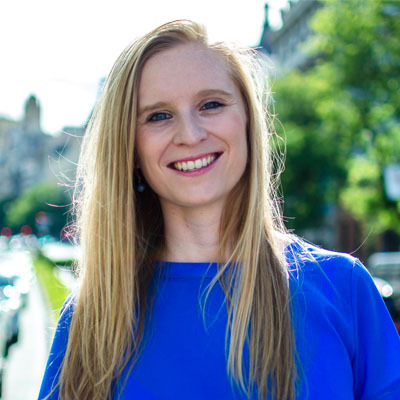 Prior to joining CARTO, Flo was Global Head of Marketing and Communications for LUCA, Telefónica’s specialist Big Data unit, having been fast tracked into management after completing the Global Graduate Programme working in sales and marketing rotations in Connected Car, VOIP tech, and mobile data insights in the UK, Spain, Germany, and Latin America. Flo is also an ambassador for One Young World, a network which brings together the world’s most talented young leaders and empowers them to create positive change in the world of business. She attended their summits in Ireland and Canada, speaking about her work on Big Data for Social Good projects. Originally from the UK, Flo has worked in Spain for more than 4 years and is a passionate sportsperson, a hobby perhaps best exemplified by her founding of a corporate soccer team at her last company. She is also one of 30 scholars on The Marketing Academy programme, which selects the top young marketers in the US, UK and Australia to receive coaching and mentoring from CEOs and CMOs in the marketing and advertising industry.